The beginners guide to Mount Shasta, Telos and the works of Aurelia Louise Jones. 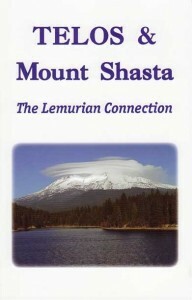 This booklet offers an introduction to the magic that is Mount Shasta and is a great point of entry for those interested in exploring the spiritual wealth available in the Telos Book Series. A perfect gift for friends and relatives. 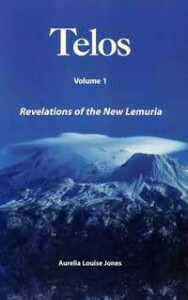 Timely and fascinating messages from the people of the ancient civilization of Lemuria, living in the fifth dimensional city of Telos, situated beneath Mount Shasta, CA. They are the survivors of the lost continent of Mu, who perished beneath of waves of the Pacific Ocean over 12,000 years ago. Our Lemurian brothers and sisters of Telos are our former family of ancient times and they are looking forward to coming out soon, to reunite with us once again, after a very long period of physical separation. This book touches the very core of your heart. 192 pages. 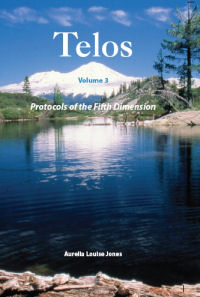 Volume 2 of the Telos series offers spiritual messages from the Earth’s Interior from our brothers and sisters of the ancient civilization of Lemuria. The teachings contained in this book inspire the readers to raise their consciousness to new levels of attainment and it explains how to reconnect with the divine aspect of Self, in order to live and experience once again our divinity and manifest its magic in our daily lives. The “eye opener,” and spiritual gold nuggets this heart warming book contains prepares the reader to embrace the initiations that will be required in order to be admitted in a fifth dimensional paradise. 224 pages. This material is presented and designed to continue to stretch your heart and mind to another new level of your Christhood and mastery. If you are choosing to move along with Earth’s destiny and evolve your consciousness to be able to live in a world of pure Love and Light, it is now more imperative than ever before that you awaken the perceptions of your true divinity and make it a priority and the most important goal of your life. You have to prepare the Garden of your Heart to become conscious and responsible galactic citizens to mingle, as equals, with your brothers and sisters from the Stars. 256 pages. 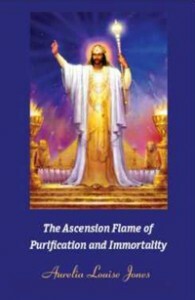 This beautiful, hard cover sacred book contains Pearls of Wisdom and Knowledge that will assist those seeking to attain Christ consciousness and Ascension. 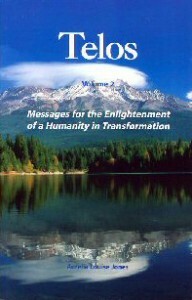 It is truly a book humanity has been waiting for to manifest a major quantum leap in our evolution. 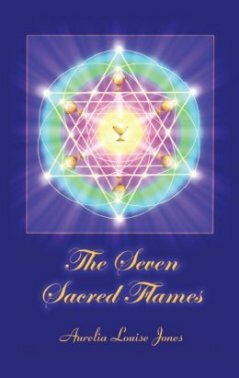 The Seven Sacred Rays and the Ascended Masters overseeing each Ray are presented in each of the seven chapters, with pertinent prayers and a meditation at the end of each chapter. It is published in full color throughout and contains 16 color graphics of the Masters of Wisdom, the Guardians of the Sacred Flames and the chakras painted by Marius Michael George. 280 gold leafed pages. This hard cover sacred book has been published in full color throughout the book. It contains 16 color graphics of the Masters of Wisdom, mainly those representing the Guardians of the Sacred Flames. The book is printed on high quality glossy paper and contains a gold ribbon to hold your place. The exterior of the book is gilded in gold. It contains seven main chapters, one chapter for each one of the seven main sacred flames. It ends with a section offering invocations to each one of the flames. 280 pages. 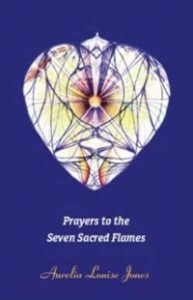 This easy to use booklet offers you a choice of over 50 devotional prayers to the Seven Sacred Flames for abundance and for healing. With such a booklet, it is easy to create a weekly devotional schedule of invocations to the Flames or Light of God for you own benefit and also for the benefit of the planet and humanity. You can use them as often as you wish. The more Light you allow yourself to invoke, the more spiritual acceleration you create within yourself for your personal and planetary transformation! These prayers will assist you in manifesting your “Homecoming” into the arms of Love and your own Divine Essence – 64 pages. Information channeled by Adama, high priest of Telos, ascended master. 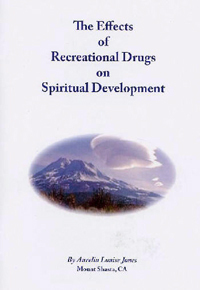 Adama explains very clearly and concisely the spiritual pitfalls and long-term consequences for those allowing themselves to indulge in the consciousness of addictions, especially the recreational drug culture such as marijuana and other similar types of recreational and mind altering substances. This message is direct and unequivocal about the consequences that will have to be faced for those choosing to remain trapped in the illusion and deceits of this delusory consciousness. A must read for everyone who is trapped in this illusion and for all those who know others who are caught and seduced by this conspiracy of the dark forces on this planet, hoping to destroy and alter the course of evolution in a downward spiral of a whole generation of souls of Light and Love. Quantity discounts are available. Booklet of 34 pages. 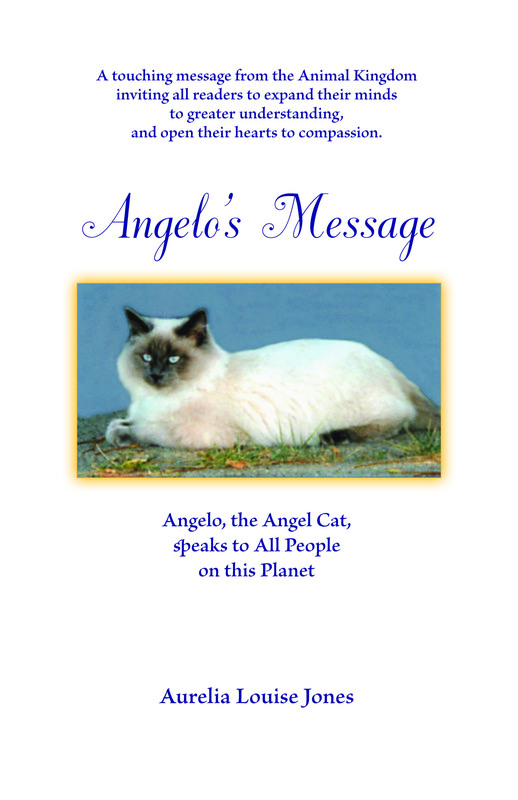 A touching message from Angelo, a beautiful Balinese angel cat, who has incarnated on this planet, once again, to speak to mankind on behalf of the animal kingdom. 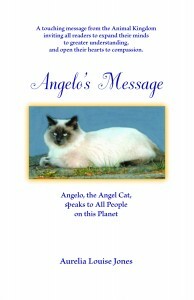 Angelo brings us a message of hope and compassion regarding the treatment of animals on this planet. Angelo’s Message was channeled at the request of the Goddess Quan Yin. Angelo’s eloquent feline words penetrate deeply into our hearts and fill us with the love, wisdom, and mystery of the feline species. Angelo reminds us the opportunity we humans have to develop an endearing and exhilarating relationship with other species. This book will open your heart to the spiritual awareness of cats; that they also have a soul, and they have come here to teach us compassion and true healing. Booklet 100 pages.